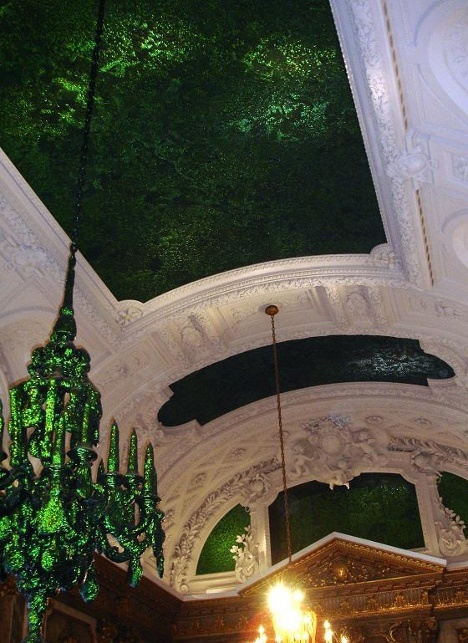 A Ceiling Made From What?! 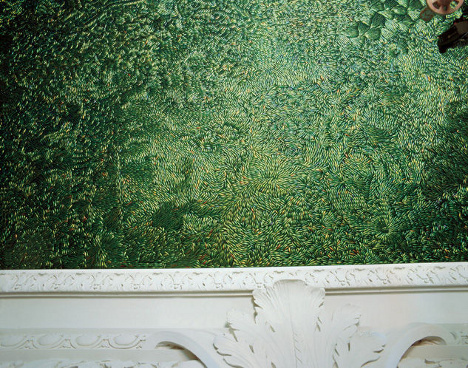 Take a look at the first five photographs below and then have a quick guess as to the materials used to create the beautiful green sections of the room's ceiling. 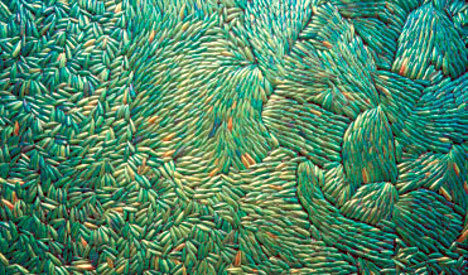 If you fancy taking a guess, scroll down slowly so as not to see the spoiler picture. Yep, beetles, 1.6 million of them. 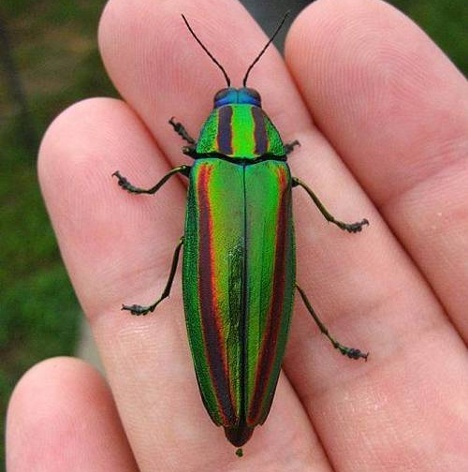 Or Buprestidae to be precise; a family of the insect which are more commonly known as Jewel Beetles. 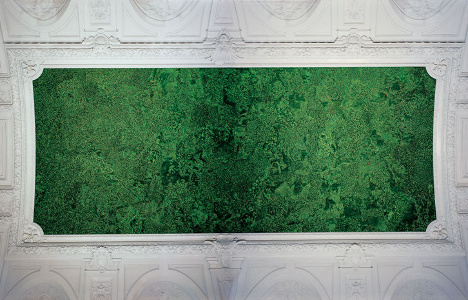 This incredible ceiling art - known as Heaven Of Delight - can be found at the Royal Palace in Brussels and was the brainchild of controversial Flemish artist Jan Fabre, a man renowned for working with strange media including blood, sperm and all manner of insects. 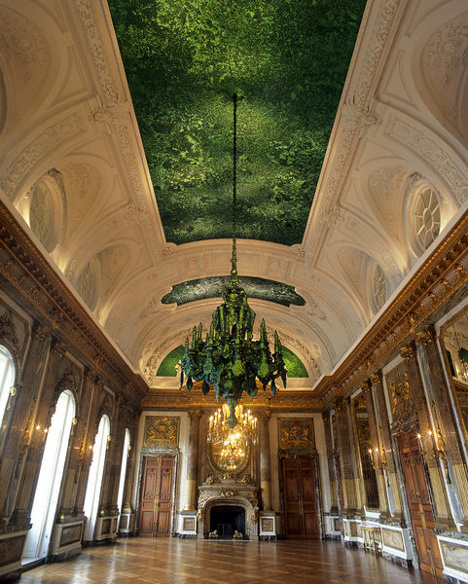 Apparently it took Fabre's team of around 30 people 4 months just to glue the beetle shells to the ceiling. To read an interview with the artist, go here.